The 2 Good Cooking Chicks are Judy Fair and Suzanne Pech, two long-time friends and foodies that have always found joy in feeding people. Their homes are very often full of family and friends, enjoying great food, laughter, and fellowship. The catering business came about as a natural extension of this love of food and love of people. The name is fun…the food is seriously great! Whether your function is a wedding, a corporate lunch or event, a charity benefit, something personal, you’ve come to the right place. We pride ourselves in bringing creativity, enthusiasm, and a genuine concern for our client’s satisfaction to every event that we do, whether it’s a seven course dinner for 20 of your closest friends or an extravagant party for 500. Give us a call and let one of our Event Planners assist you in making your event a success. A great party is just a phone call away! Just because it’s corporate, doesn’t mean it has to be dull. We know the drill: deli sandwiches, gourmet sandwiches, wrap sandwiches, build your own sandwiches, etc. Not exactly a lot of variety and, on top of it, you’re probably going to have to eat your sandwich in some kind of meeting. No fun! Now, we like a sandwich as much as the next guy (or girl), but we really want to help you expand your business breakfast and lunch horizons. Call us and we’ll be happy to explain some other delicious options or even help you create menus geared specifically to the needs of your co-workers and clients (or your boss). If you’re tired of eating the same old things in the “bored” room, give us a jingle and we’ll help liven up your lunch hour. At 2 Good Cooking Chicks, we want your special day to be memorable for all of the right reasons. Our event planning staff is ready to tailor a menu to your specific wishes. We know that you have a lot of choices to make and more than a few things on your mind. Let us help you make your wedding day magnificent. Congratulations and best of luck! Regardless of your budget or the number of people on your guest list, we are happy to work closely with you to create a unique and memorable event. Having twenty people over to your home for dinner? No problem. 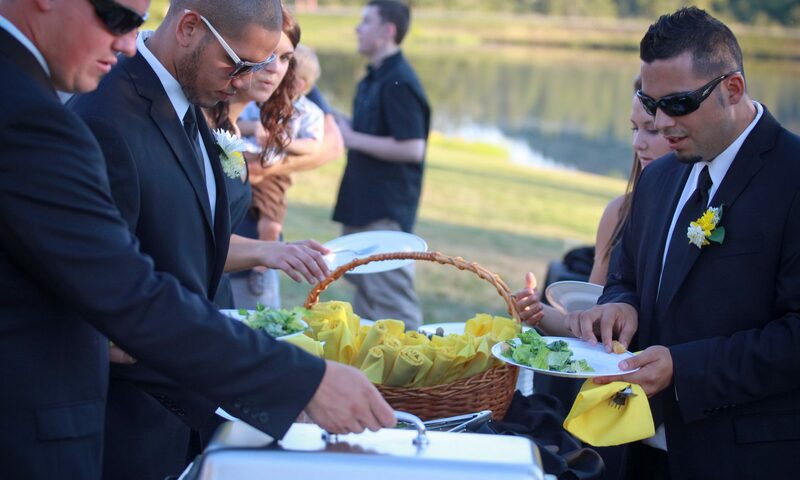 Do you need to rent one of the many locations around the Rogue Valley where we are welcome caterers? We’ve got you covered. From working with our trusted florists, rental companies, and other industry contacts to making certain that every detail of the food and beverage service at your event is up to our standards, 2 Good Cooking Chicks’ event planners orchestrate all of the behind the scenes action to ensure that every seamless occasion exceeds your expectations. We cater events of all types. Birthdays, Anniversary parties, First Communion, Graduation parties, Banquets, Holiday catering, High tea, Theme parties, BBQ. The party possibilities are only limited by your imagination! You can call us at: 541.821.2516 or fill out this form below and we will get back to you as quickly as possible.